Two winners chosen at 4 pm New Year's Day. I notified Patty and Kathryn. The contest is over. It's coming! It's coming! 2013 is coming SOON! Are you ready? Do you have any New Year's resolutions? And how did you do last year? Can I share with you what my resolution (yes, only one, let's be realistic here) was for 2012? I resolved to always listen to the voices in my head. Wait! Don't leave! I'm not crazy. We all recognize those little, tiny, insistent "voices" that seem to compel us to take a different path, to make a different choice. And most are based on good information. 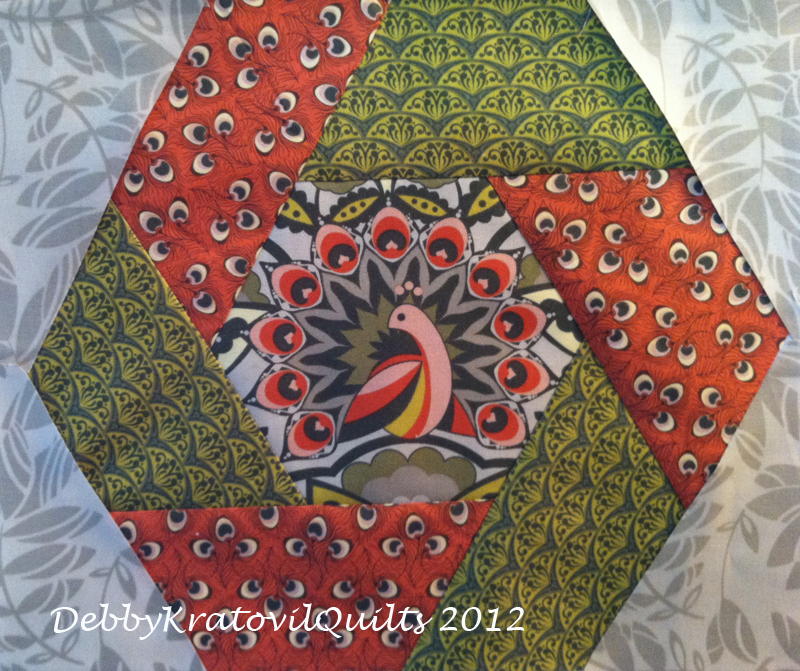 I paid more attention to my hunches in 2012 and I was very thankful I did. Don't speak that sharp word. Stop speeding. Only eat one cookie (and not 5). Be kind to the person you don't like. 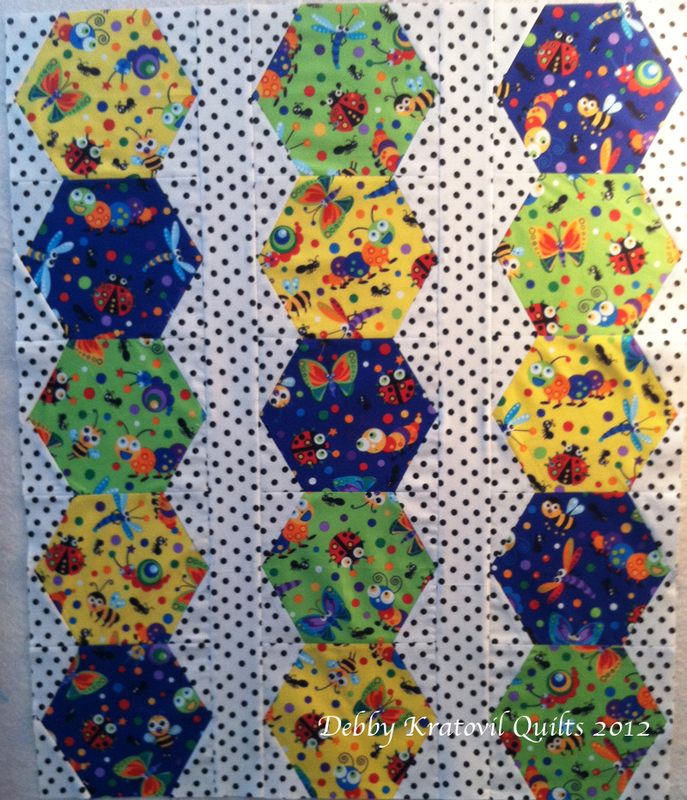 And what about quilters' resolutions? What are yours for 2013? At the bottom of this post I'll ask you to share your own quilter's resolution (and any others you have: lose weight, go back to school, save more money, etc) and I'll have a giveaway (actually 2!). But, I was reminded of a challenge I made to myself regarding making a block a day for an entire year! Yes, can you believe it? 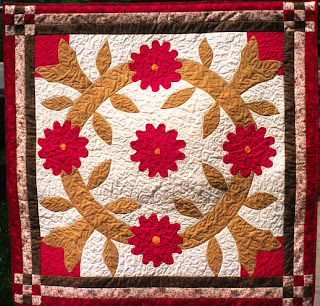 Here is the first paragraph as it was published in Quilt Magazine in 2003. The story is actually true! 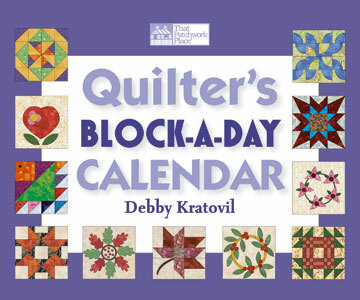 "I heard of a professional quilter who challenged herself to stitch a quilt block a day FOR AN ENTIRE YEAR. It seemed an impossibility for anyone other than a woman stranded on a desert island with her sewing machine, fabric and thread. It certainly couldn’t apply to me - a busy wife and mother, living in a very large metropolitan city with an outside job to help put two daughters through college. Where did this lady find not only the time to sew a quilt block each of the 365 days in a year, but where did she get the mental persistence to make one on her busiest days, her down days, her days when she traveled? I never got a chance to ask her. No need to wait for New Year’s Day (though I did) to begin. I just set out to do it! 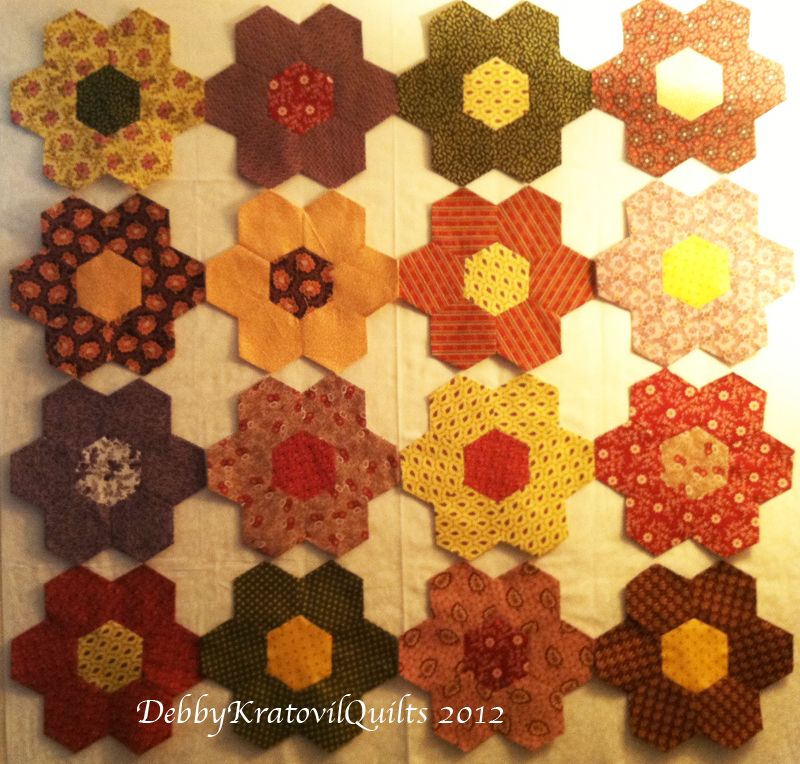 Here is how..."
I am going to post these blocks throughout January, February and March so you can see how I did. The set is over 10 years old - yikes! 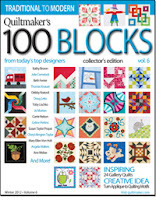 90 blocks! 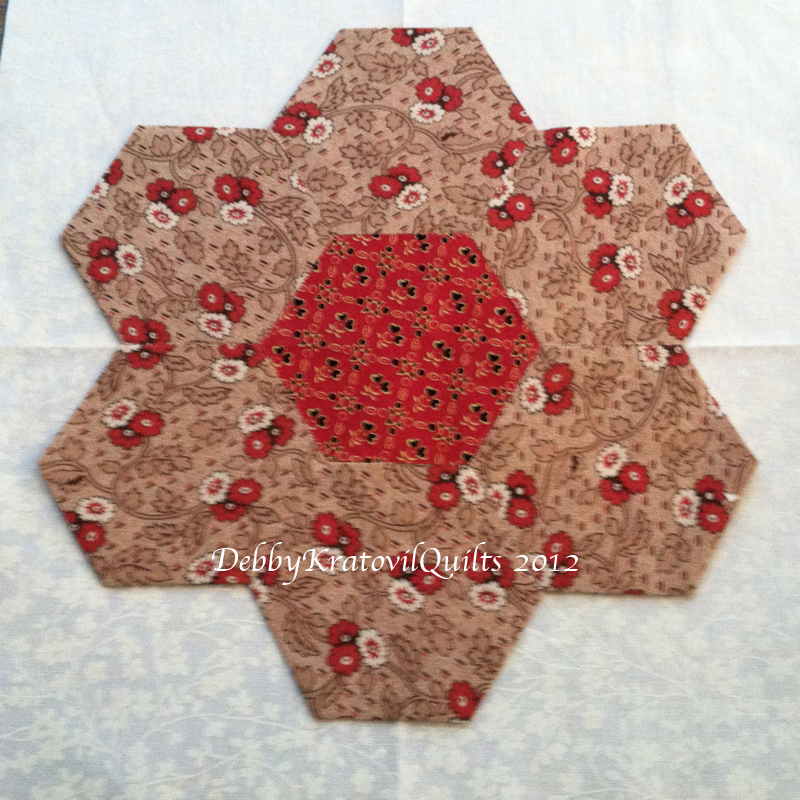 Now, for the giveaway for the New Year. I have a partial jelly roll from Blank Quilting - 13 strips 2-1/2" x wof. 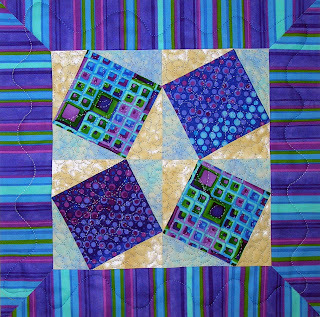 They are from their Fabrications Brights Collection and are so fun to use with a black or white background. And the second giveaway? A sample collection from Red Rooster Fabrics a few years ago. 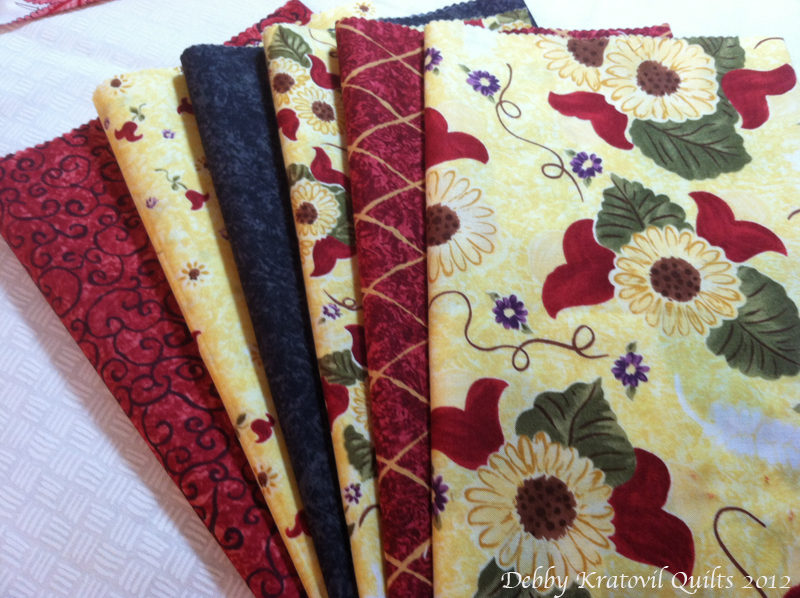 These 6 fabrics are approximately 10" x 24" for a total of one yard of fabric. They were crying on my shelf wanting a new home since I never bothered to use them. What do you have to do to win? Tell me your Quilter's New Year's Resolution. Or any other resolution for 2013. I will use the Random Number Generator to select my winner. Please be a follower. I don't want you to miss all my future posts about my own Block a Day challenge. I will be sharing over 90 blocks! Remember, in order to win, I must have your email. And the contest deadline is New Year's Eve at midnight. I read every one of your comments, though with a heavy volume when there's a giveaway (wonder why that is? ), I can't always reply. But I do value what you say and I bet I'm going to really enjoy all the plans and resolutions you share with me! Thanks so much for visiting. 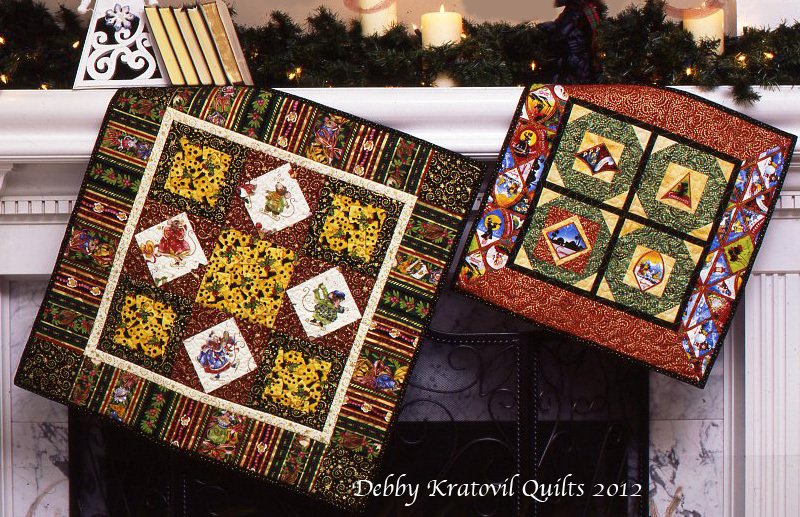 This is my favorite Christmas quilt, though it was originally made without Christmas in mind. 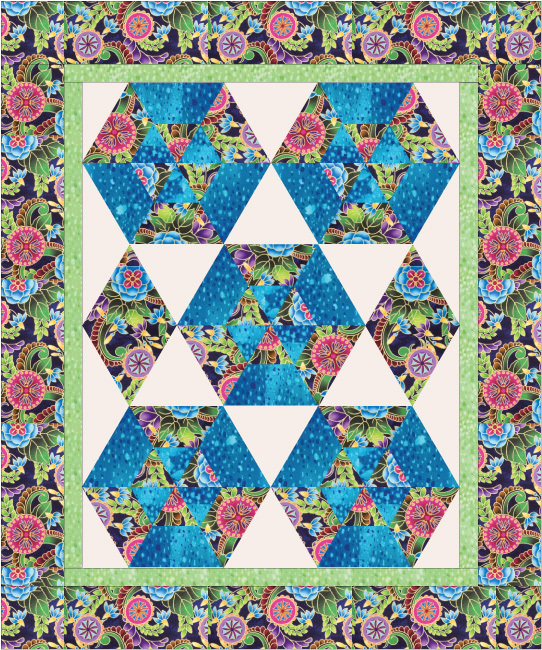 It is based on two antique blocks: Oak Leaf (the one with the four large green leaves in diagonal position) and Rose Wreath (the four stylized applique flowers). I made this quilt at least 15 years ago and planned on hand applique. 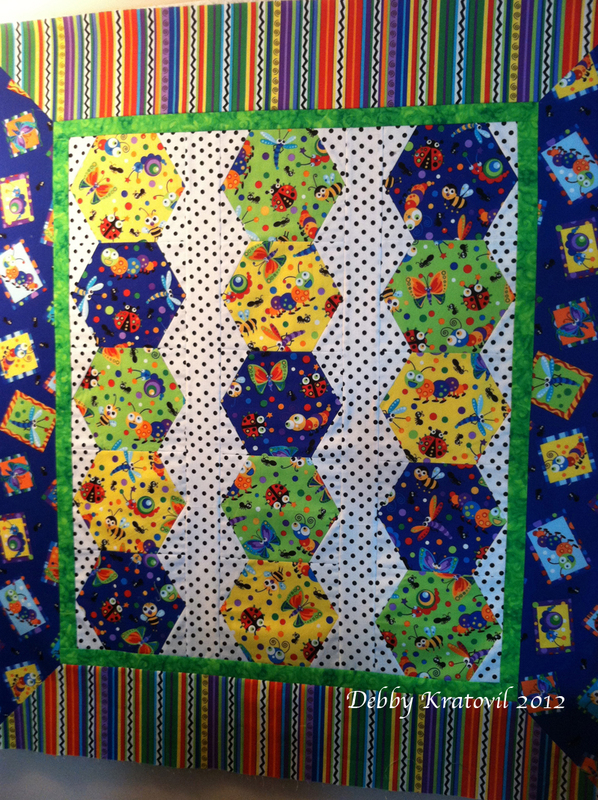 I threw the first block into the trash can and then pulled out the fusible web, my sewing machine and made the whole quilt by machine and was very happy doing it. I even machine quilted it. This quilt appeared in the Winter 1997 issue of Quilt Magazine. 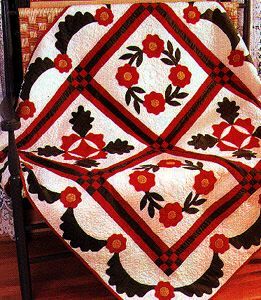 The blocks are 14" and the quilt is 51" x 51"
Red and green quilts are historic and traditional and there have been years that this quilt hangs in my home when it's not Christmas. This year she graces my kitchen and I enjoy it all day long! 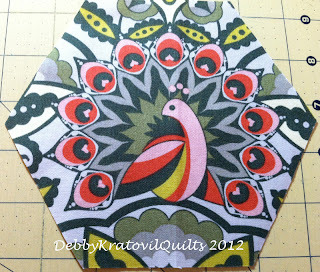 Here is another favorite, though this one has gone to another home to live in. My editor, Jean Ann Wright, gave me an antique, orphan block she had and told me to do something with it. 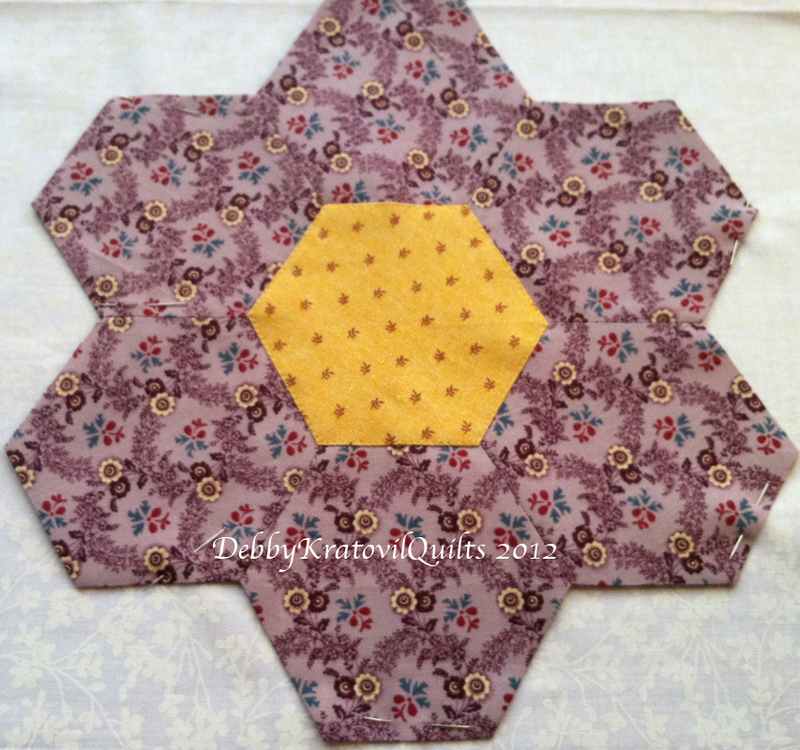 The block itself was 35" square! 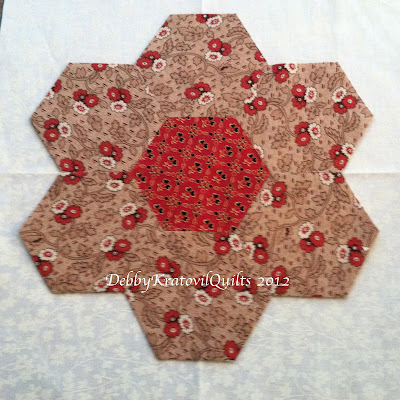 I added the same triple sash and 9 Patch cornerstone treatment you see in the Oak Leaf and Rose Wreath quilt. The block was over 100 years old. 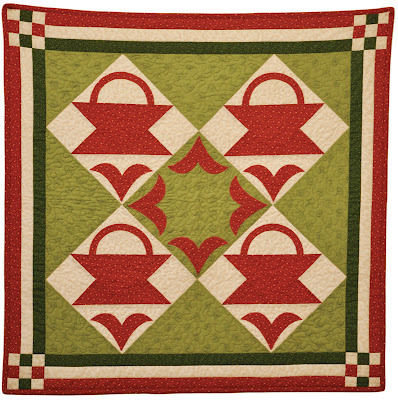 Again, the red and green historically was not restricted to Christmas. 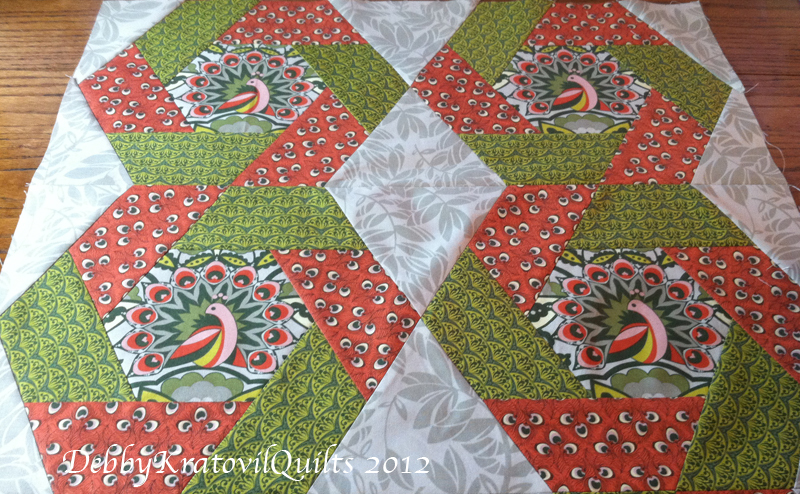 And I never hesitate to have my red and green quilts out in months other than December. 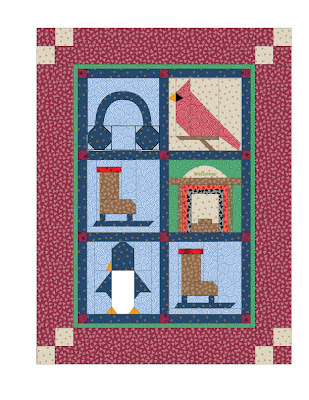 This quilt has been hangining in my living room since May 2010. I made it in 2005 based on an antique quilt I saw in one of our magazines. 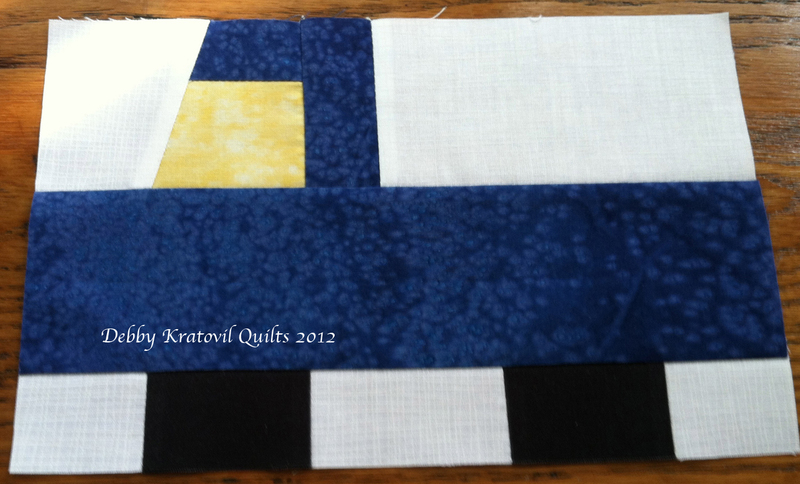 The blocks are 9" and the quilt is about 36" x 36". 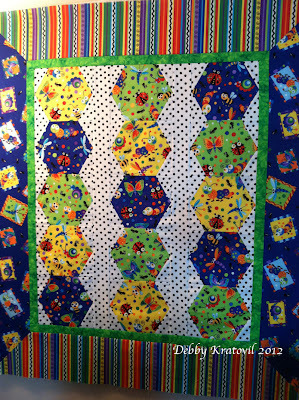 It is one of the 13 patterns that will be in my 2014 wall calendar of quilts. This is actually the second quilt I made of this pattern. The first one was made for Windham Fabrics. 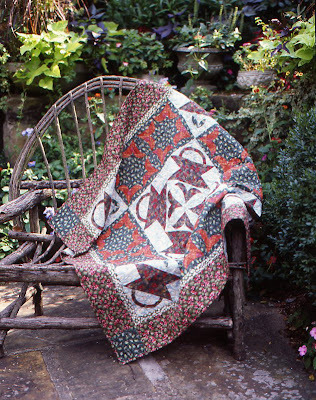 I do not own this quilt and no one ever could figure out who ended up with it! What a shame, but I am hopeful she lives in a happy and appreciative home. I hope you enjoyed my little red and green corner. Merry Christmas to you and I'm wishing you safe travels, happy family time and if you can squeeze some quilting in, I'm hoping that makes you happy, too! 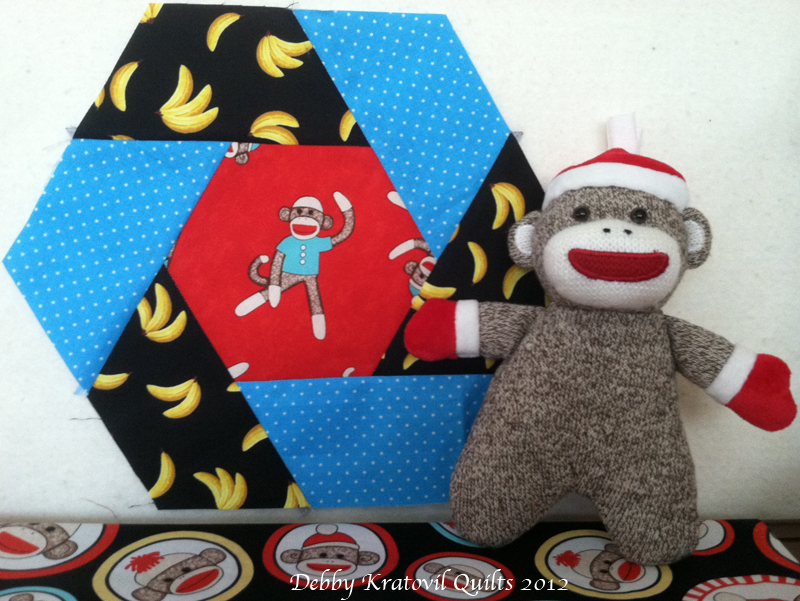 Two of my favorite holiday quilts - quick, easy and DONE! The contest is over and I have notified the winner, Carol M. Thanks to all who participated! 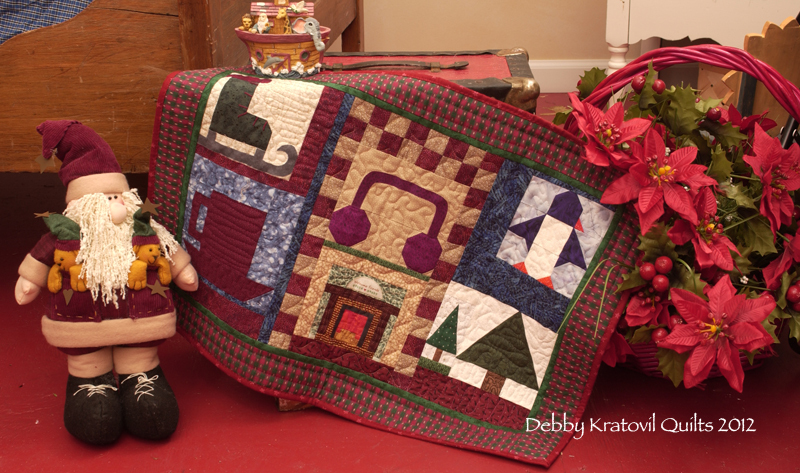 I've been busy decorating my home with all my Christmas quilts. A neighbor came over last week and said, "Gee. You keep a lot of quilts!" Sure. Why not? It's just that I have them everywhere. The holidays are filled with parties. What about parties for quilters? Party time at the Quilting Gallery. 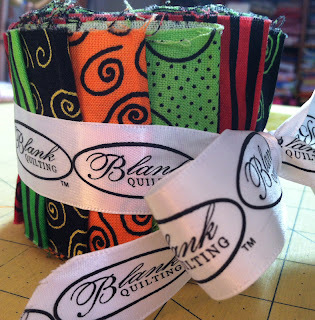 They are celebrating their 5th birthday with links to 150 quilting blogs with giveaways at every one! 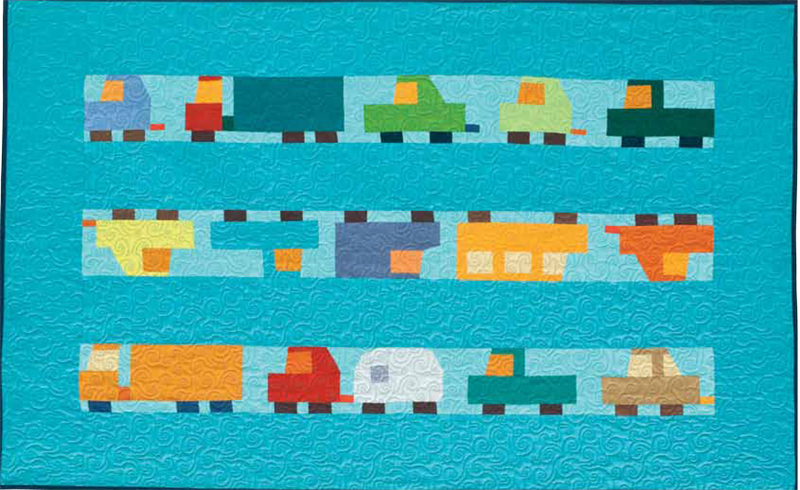 Meet thousands of quilters from around the world in the quilting bloggers directory, then browse the quilt shop locator for quilting retailers and professionals. 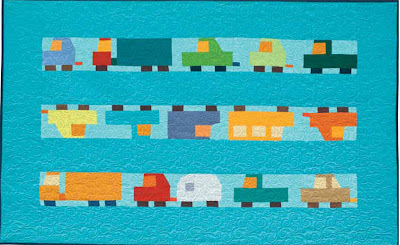 Find connections in our world-wide directory of quilt guilds and search for the latest in quilting books, patterns and notions in the quilter's market. 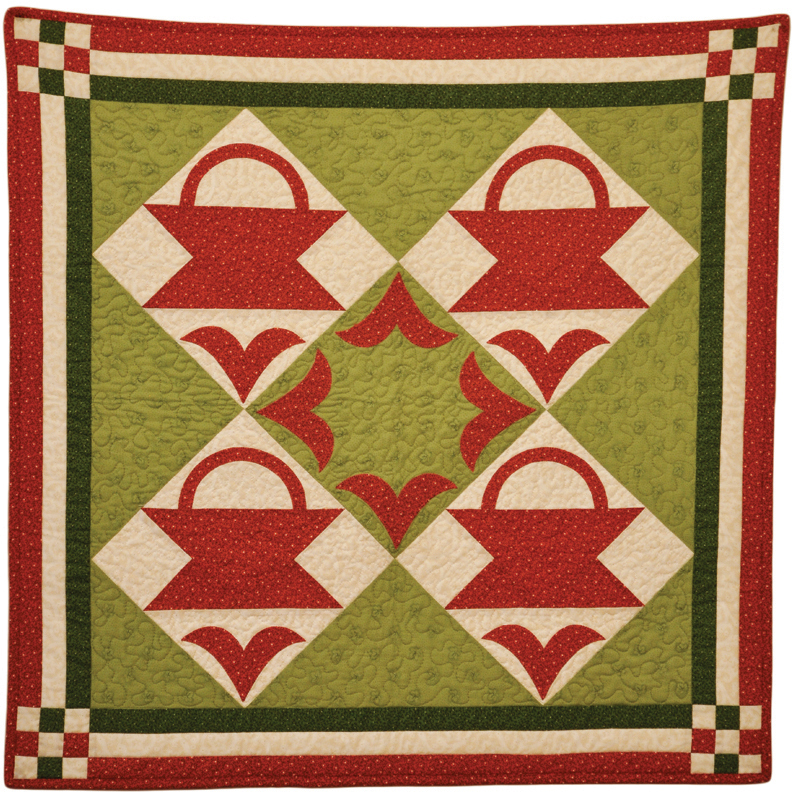 Visit hundreds of quilt sites with ALL offering giveaways! 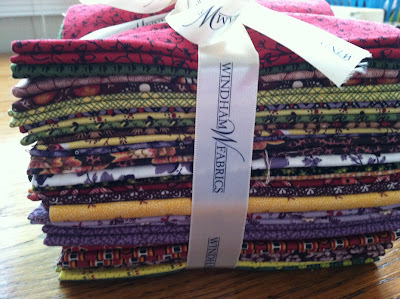 And, yes, that means that I am also offering a giveaway. 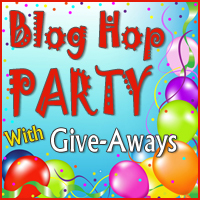 I'm part of the blog hop and it's my way to celebrate, too! 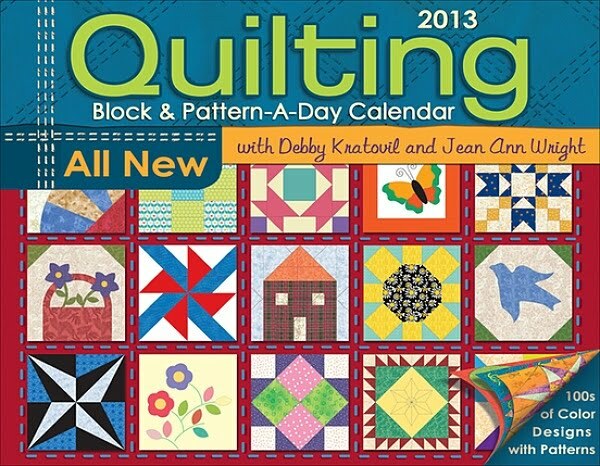 I am offering one of my calendars to one lucky winner. If my winner is international, then a copy of my OTHER block a day calendar CD will be sent (it has to do with the heavy weight of the first calendar). 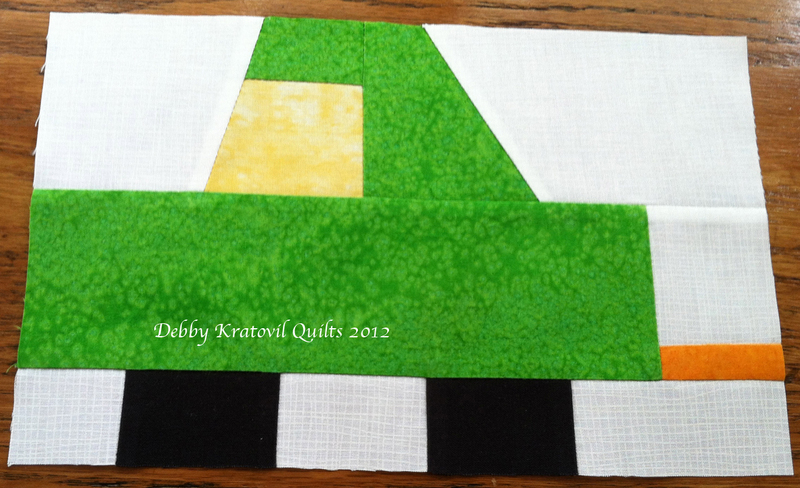 This has 366 blocks in 2 sizes each, 12 quilts and another 12 quilts online with tips and sewing hints. An awesome product - you can even SEE ALL THE BLOCKS HERE on my web site. 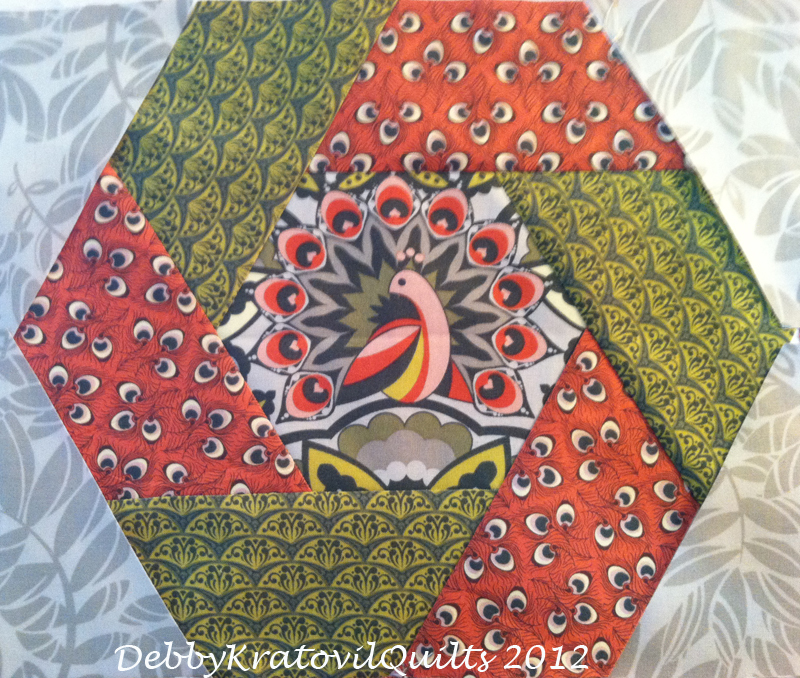 A lot of inspiration and eye candy! What do you have to do? Just leave me a comment letting me know your own (or your child's) favorite story book. You don't have to be a follower, but I certainly won't stop you if you sign up. 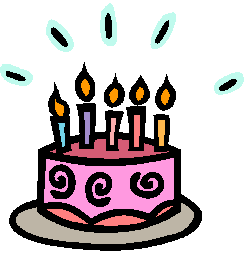 This way you won't miss my future posts and more GIVEAWAYS! The contest closes at midnight December 15th (EST in the USA). Then Mr. Random Number Generator will select one lucky winner and I will notify him/her. 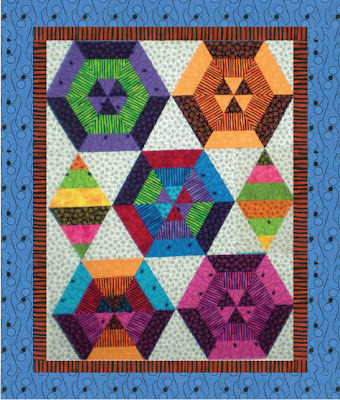 Now, go visit all of the fabulous other quilt blogs from around the world at The Quilting Gallery. Make sure you pace yourself! 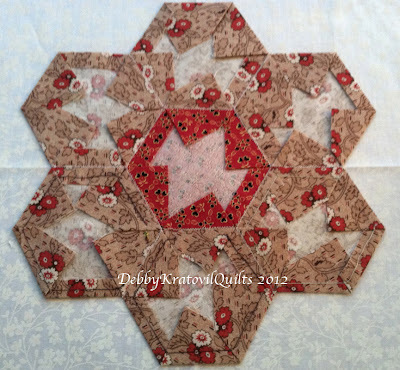 So as not to overwhelm those at the beginning of the alphabet on the Gallery page, start hopping on those blogs that begin with the first letter of your own name (ie, I would start with the "Ds". Today is December 9th, Hanukkah or Chanukah (it's been spelled differently). It is the Festival of Lights. It's more than just a magical lamp that had enough oil to burn for 8 days during an uprising in ancient Israel. Jewish people were overcoming their oppressors and there is more to the story. I am a Christian and not Jewish, but this story is very powerful about a strong willed people wanting their freedom to worship as they wished. I celebrate this strong will and believe all people should be free to worship as they wish - or if they don't wish! 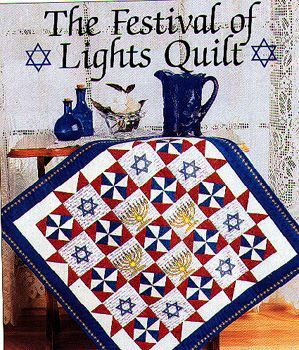 We in America respect this and I say to my Jewish friends, Happy Hanukkah! These were made several years ago and appeared in one of the magazines I worked for. 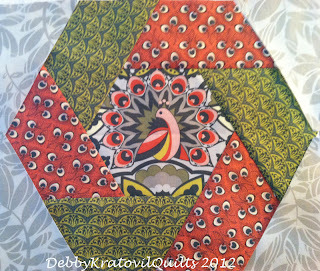 I used holiday panel fabrics, fussy cut motifs, and fused them onto card stock. 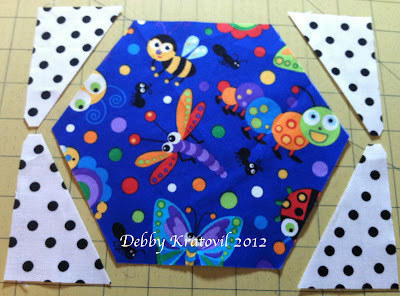 Some are single pieces of paper with a hole punch for stringing ribbon through. Others I folded like a card so I could write more inside. 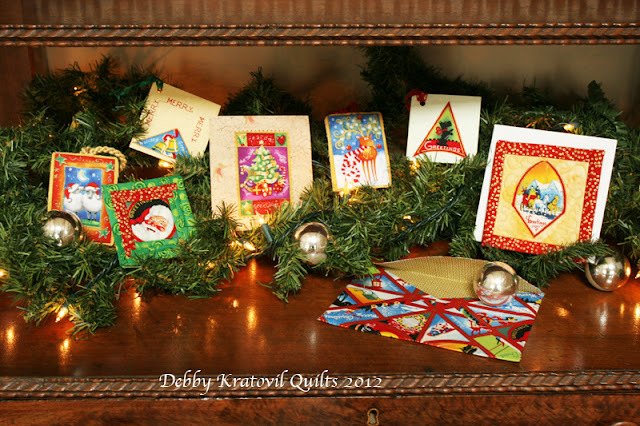 You can even see the little card on the top left where I used my faithful Bernina 1230's alphabet to write "Merry Merry" around the sides and top. And Santa's head? 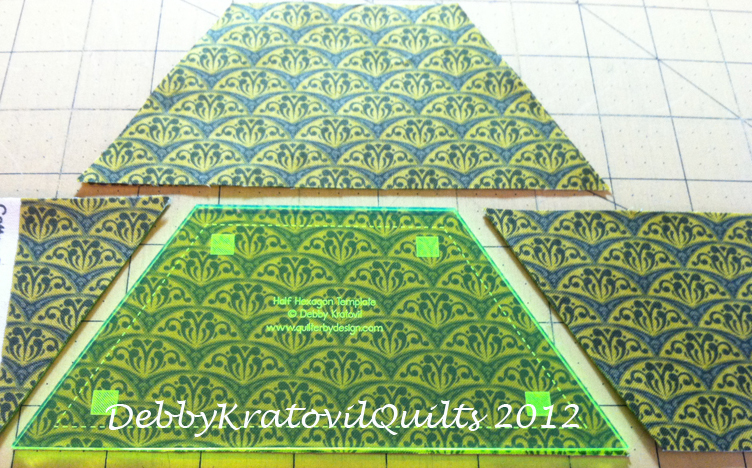 It's the center of a mini log cabin block that I layered with batting and backing and quick stitched for some extra color. 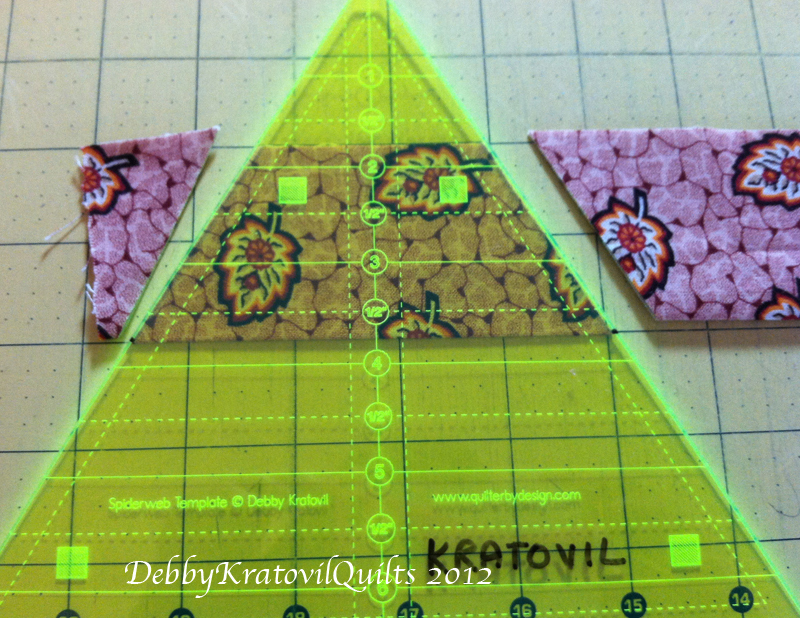 Look through your stash to find those little holiday prints (or any prints, for that matter) that you can cut out and fuse to card stock (I used a fusible web; glue will work also). You can use this idea for any time of the year for any occasion. 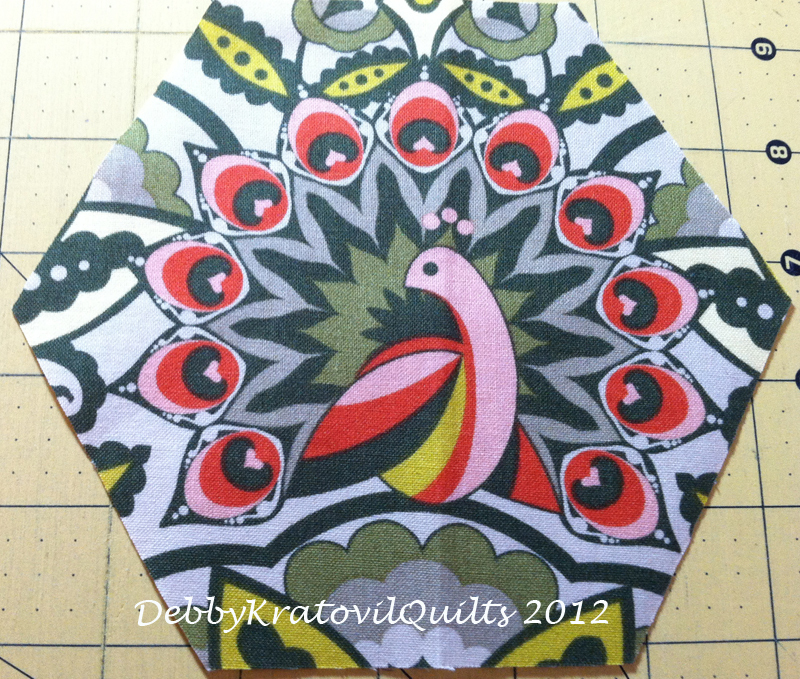 I just happened to have a whole set of these for a class I taught a few years ago. Enjoy the inspiration! My trusty Random Number Generator selected my winner. Alas, one of the numbers was for someone who was a "no-reply" commenter, so I had to go to the next number. I'm waiting for Cecilia to reply so I can get her mailing info. 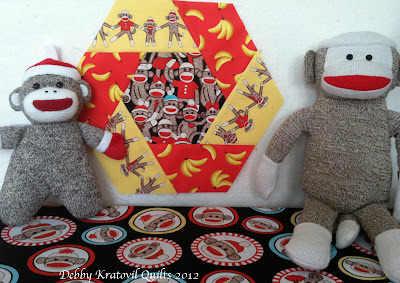 Sock Monkeys have been around since the late 1800's. During the Depression, Sock Monkeys were at the height of their popularity. 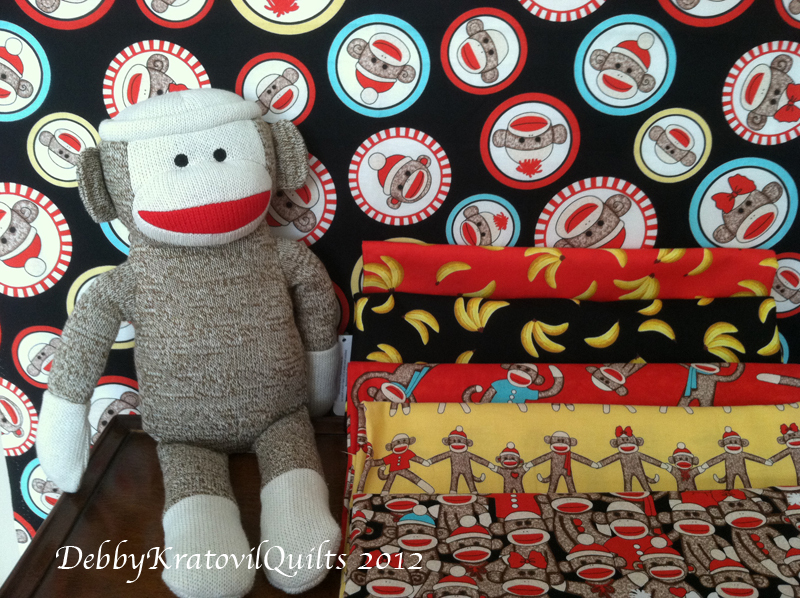 In 1920, a Sock Monkey was constructed out of a pair of Rockford Red Heel Socks and sent to the company, Nelson Knitting Mills. The company thought it was a genius idea and Nelson started including Sock Monkey instructions with every pair of Rockford Red Heel Socks they sold. 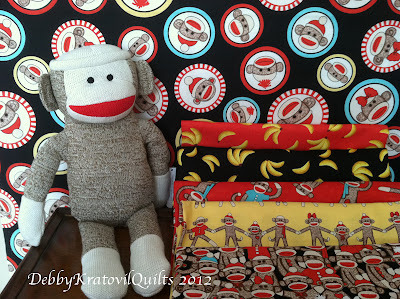 Socky by Whistler Studios is a lighthearted collection that pays tribute to that original sock monkey design. 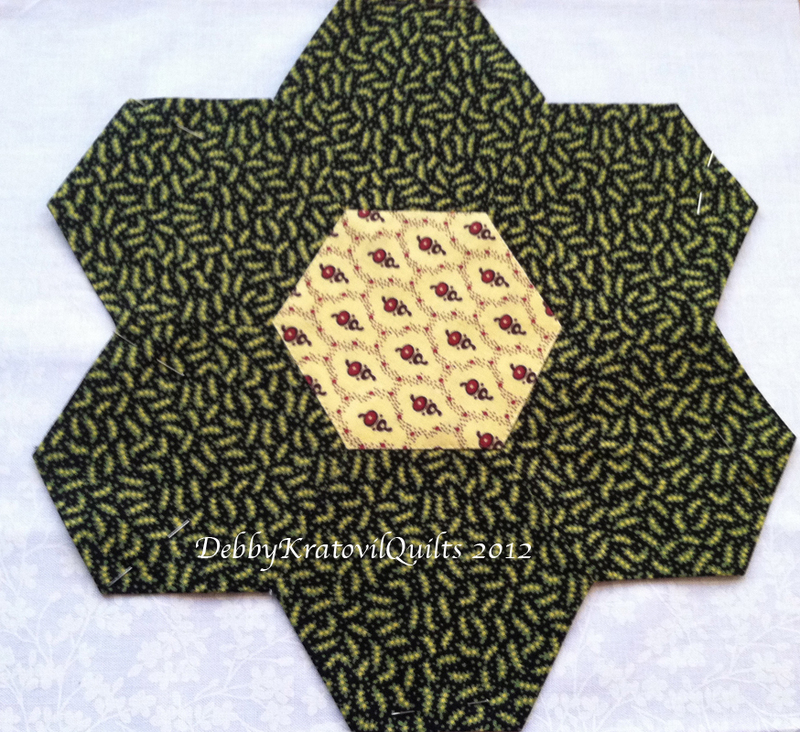 I created 3 blocks using my new, favorite (and quick) Twisted Hexagon block. 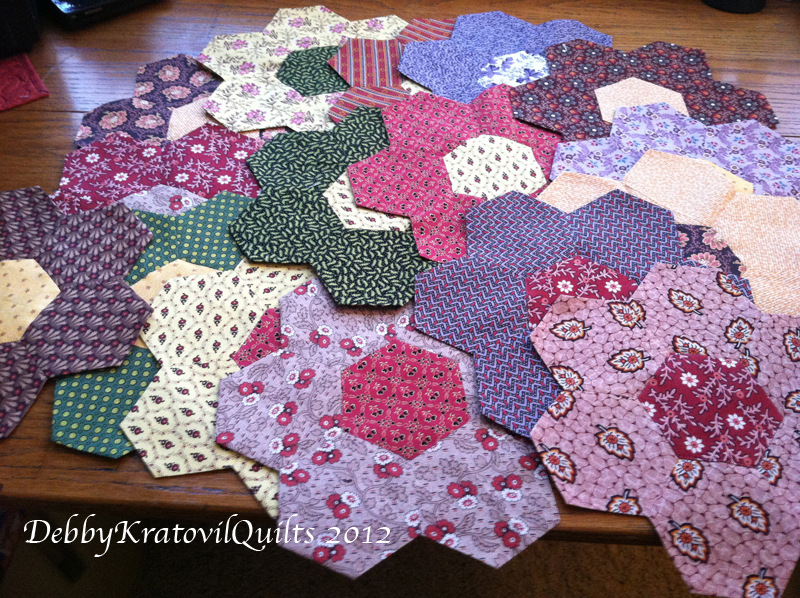 I am addicted to this block, but I can't decide which one of these is my favorite. That's why I need your help. I plan on making a quilt using this block pattern and putting them into a giant hexagon circle (remember how I did that in the summer with the Owl fabric?). 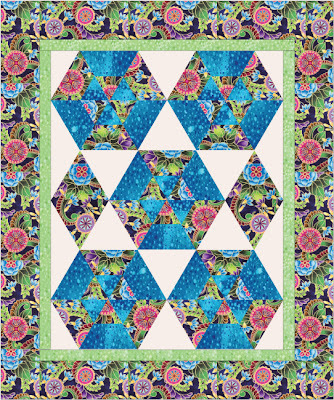 My friend Jeannine wants to help me make this quilt (as in: she sews, I write the pattern) and when it's done, it will be available for you. 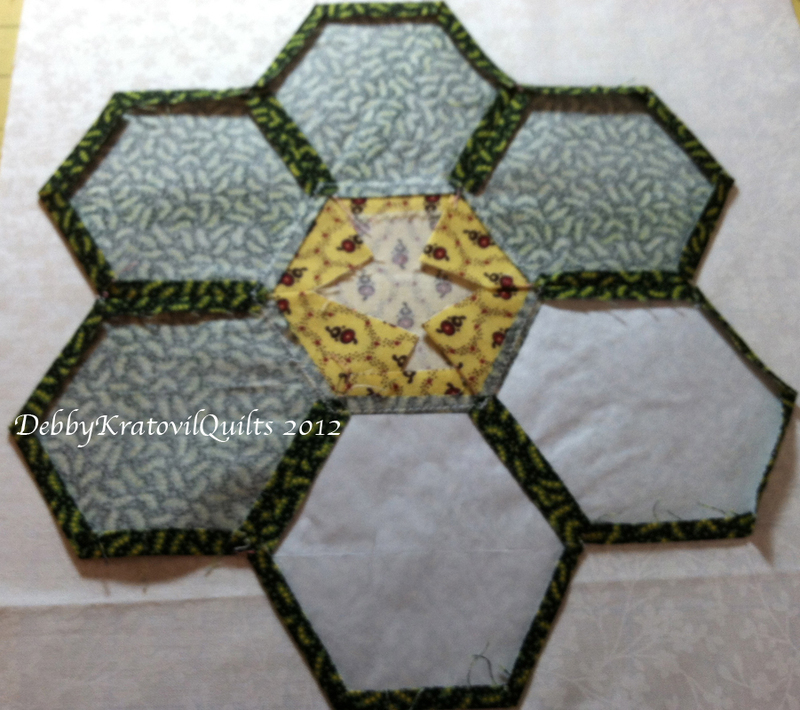 Socky Block #2 without buddies. 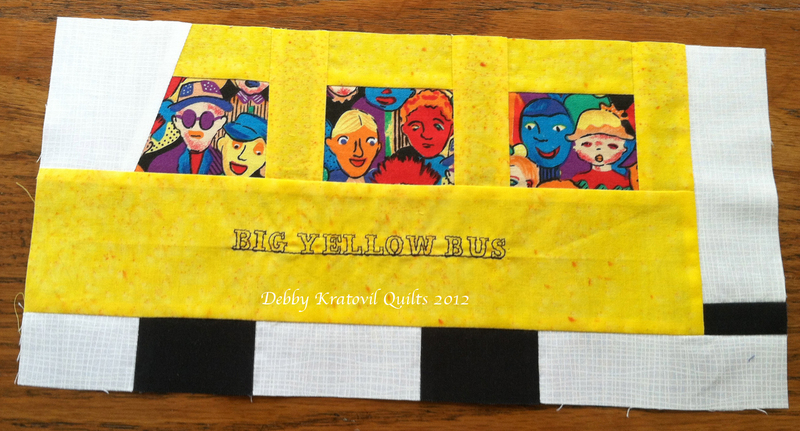 Don't you just love that banana fabric? The banana fabrics are just yummy! 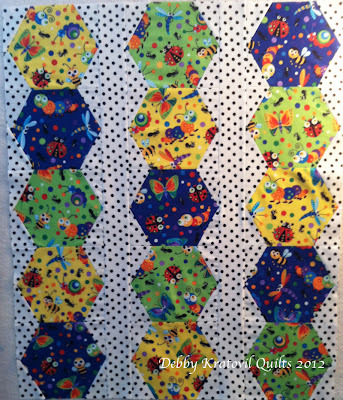 Socky Block #3. 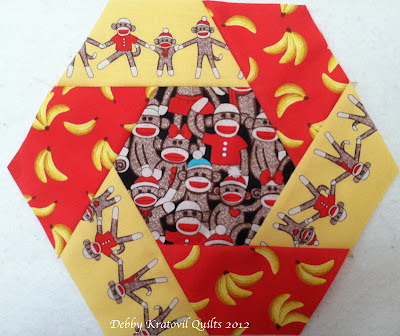 I captured just one of the blue shirted monkeys for the center. What is the giveaway? 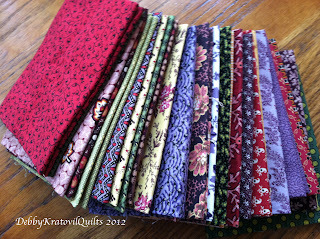 A fat-quarter bundle of these Socky fabrics (and more companion pieces once I get my supply from Windham to make this quilt). What do you have to do to win? 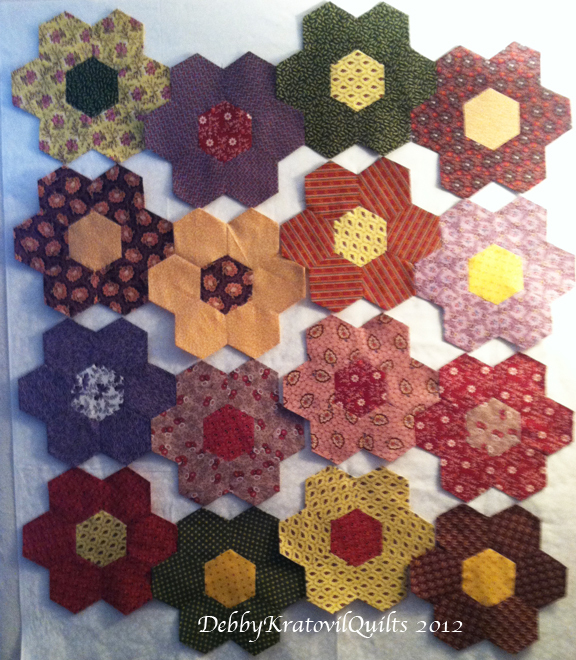 Just leave me your opinion about which is your favorite block: Number One, Two or Three. I will use the Random Number Generator to select my winner. Remember, in order to win, I must have your email. And the contest deadline is Friday, December 7th at midnight. 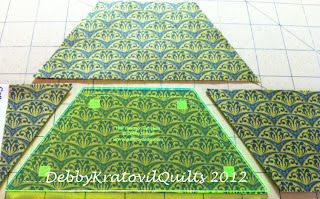 The contest is over and my Random Number Generator selected #7 and #22 to win my two prizes. I have contacted these ladies. Remember, I have Giveaways often and if you are a follower, you will know about them right away! 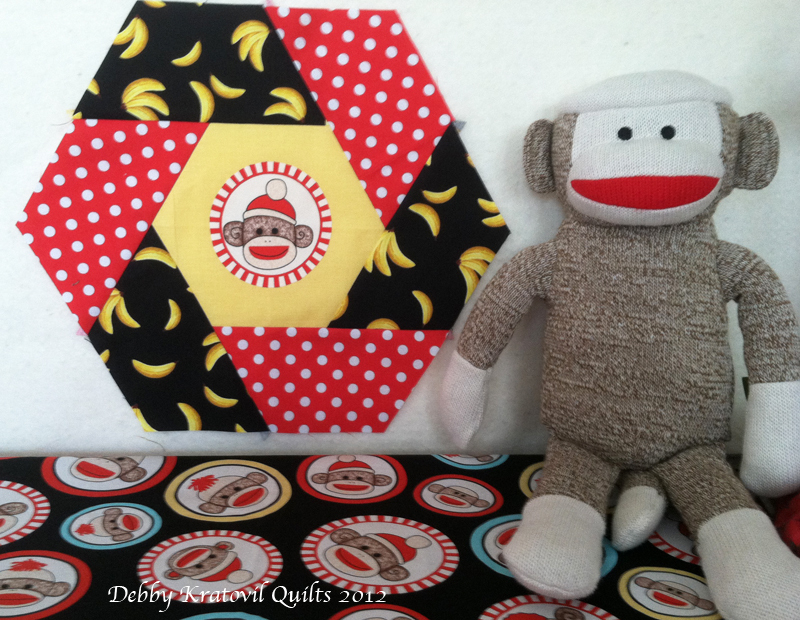 I want to appeal to the younger crowd, those who are new to sewing, don't have a lot of time to create things for their homes. 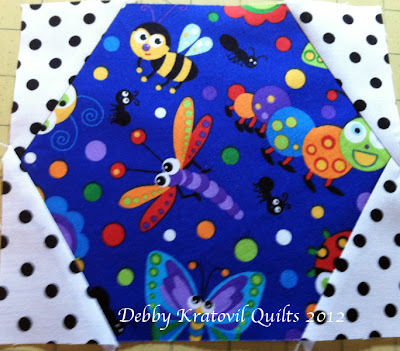 I am thinking tea cozy (yawn? 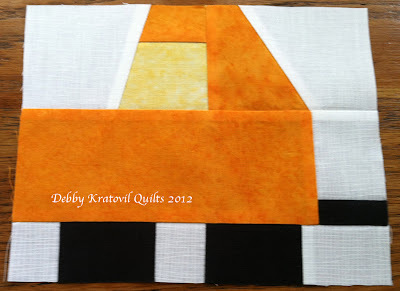 ), table runner (what do you think? ), kitchey things. 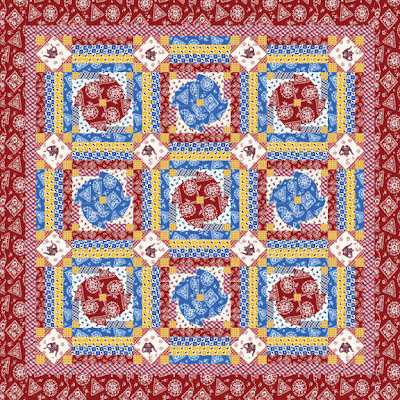 What do these fabrics say to you? I have companion blenders from Blank that will pick up any of the colors in the teapots, so suggest away! Visit Blank on their Facebook page to see other new collections. 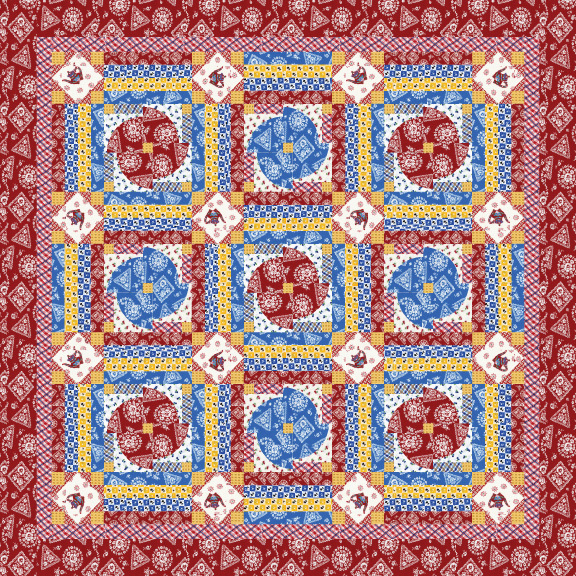 Patterns. Pretties. Fabric! 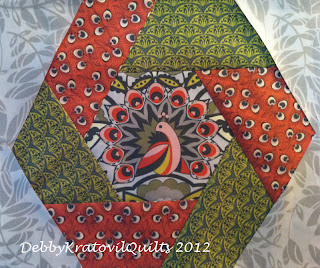 I love to see all the new things and the endless possibilities, don't you? 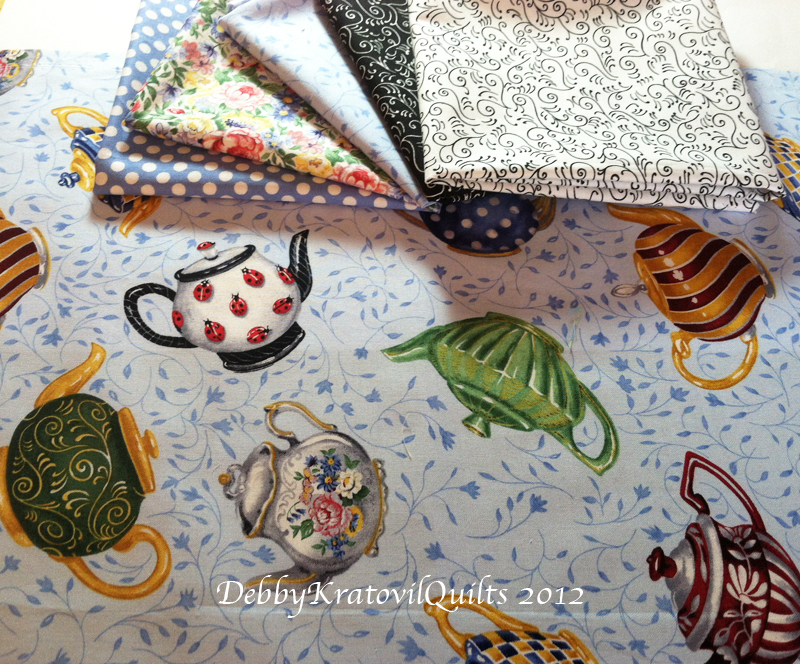 Here is a free pattern with a previous teapot print called Tea for Two. 1. A copy of the new issue of the Quiltmaker's 100 Blocks (just came on the newsstands). The deadline is midnight Wednesday, December 5th. In the meantime, here is a redraft of a Teapot from the Kansas City Star newspaper, 1935. It's appliqué and would be delightful in any type of fabrics, vintage or modern. We still drink tea, mind you!